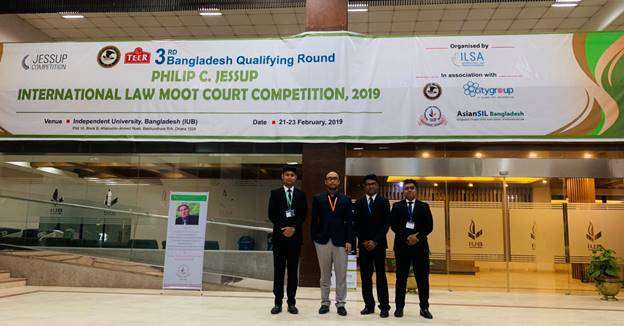 A team consisting of three students(Prosun Saha, Sayeed Imran Habibullah and Anik Dhar) of Department of Law participated in the most prestigious moot court competition, Philip C. Jessup International Law Court Competition(3rd Bangladesh Qualifying Round), held at Independent University Bangladesh. 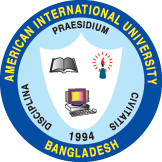 This competition was organized by ILSA(International Law Students Association) in association with Office of Overseas Prosecutorial Development Assistance and Training (OPDAT)- US Department of Justice (DoJ), TEER- City Group, Independent University, Bangladesh, and Bangladesh Chapter of the Asian Society of International Law (AsianSIL Bangladesh). It took place from 21 to 23 February, 2019. Participation of students was arranged as a student development initiative for law students by Sk. Md. Habibullah, Lecturer, Department of Law, AIUB. Attorney general for Bangladesh Mahbubey Alam, as chief guest and as Special Guest Mr. Eric Opanga, Resident Legal Advisor, US Department of Justice, OPDAT, US Embassy, Dhaka were at inauguration ceremony held on 21 February at Hotel Amari in Dhaka. 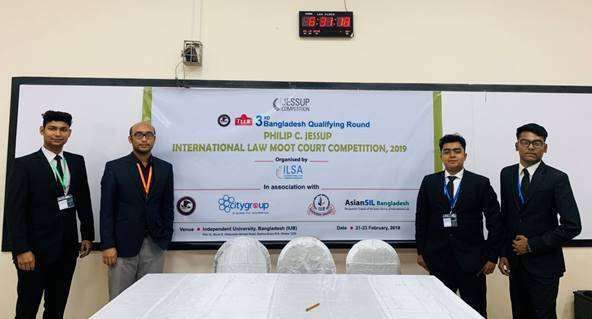 Judges of the final round – Honorable Judge of the Appellate Division of the Supreme Court Justice Muhammad Imman Ali, Honorable Judge of the Supreme Court Justice Syed Refaat Ahmed, Honorable Judge of the Supreme Court Justice Mamoon Rahman – graced the closing ceremony of the competition. 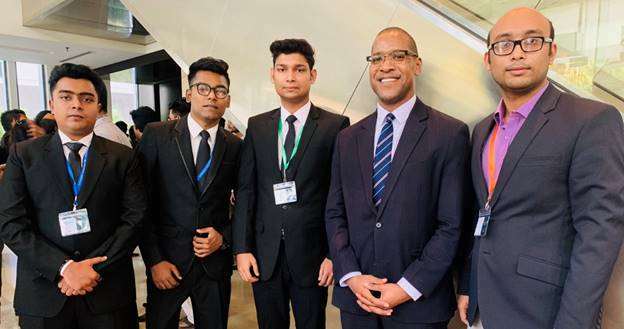 University of Dhaka emerged as the new champion and Eastern University became the runner-up of the national round of Jessup Bangladesh 2019.At this competition, teams from twenty four universities participated and there were five observer teams. The Jessup Moot Court Competition is the most renowned competitions for law students, gathering teams from more than 100 countries in the international round. The Jessup Bangladesh Competition is the national round of the international competition, which is the fifth largest qualifying round. This moot court competition focused on various branches of international law alongwith the basics of international law. Such competitions help students to use their knowledge which they acquired in the classrooms. These also increase the research skills of a law student and portray the passion law students have in them. Participating in such competitions will help our students to sharpen their advocacy skills, grow research skills and make a mark in their professional lives.